In this section, we discuss case management and the transition plan process. Ideally, one individual oversees and coordinates all phases of the transition plan. This individual could be a correctional case manager, community service provider, community supervision officer (pretrial and/or probation), correctional program staff, or other designated staff member. For the section that follows, we use the term “case manager,” but this role could be filled by someone inside or outside the jail—or both, with a dual-based case management system. Make a connection at the first meeting. Have a good orientation for each client. Establish an empathic relationship with the client. Complete a comprehensive assessment of the client. Engage clients and link them to appropriate interventions. Develop a comprehensive treatment plan for which clients agree to be held accountable. Develop a contract that focuses on short-term goals and accountability. Work with the client to develop a comprehensive aftercare plan. Provide a system of incentives to assist clients in meeting their goals. Have a good understanding of the communities to which people return. Be aware of community services and resources. Understand that different treatment approaches suit different clients. Provide regular opportunities to review progress with the client. Only service providers committed and accessible to the incarcerated population should be included in a transition plan. It is frustrating when the formerly incarcerated contact service providers only to discover that the location is overloaded or cannot provide a service for some other reason. This creates unnecessary conflict and obstacles early in a person's transition; therefore, we recommend that the transition planner contact providers to verify their interest and ability to work with the returning population. Ideally, the services will be available for free or on a sliding scale. You may also want to have a conversation with service providers about the use of appointments. Many people have a difficult time making their appointments after they are released and tend to show up at services hours, if not days, late. Discuss with service providers how they can service the drop-in population, understanding the need to provide services to former inmates regardless of their limitations, especially close to their release from jail. Unity Health Care, Inc., the largest provider of medical care in Washington, D.C., to the medically underserved and the homeless population, has an open-access system. Individuals get an appointment the day they call. Unity allows an override for patients coming from the D.C. jail because they want as much access for this population as possible. In addition to the “hard” components of the transition plan identified above (risk/needs), what is most important is the professional's ability to work with the incarcerated person to design a transition plan that meets the needs of the jurisdiction and facilitates change in behavior after release. Therefore, although the case manager starts the transition planning process, to achieve maximum effectiveness, the transition plan must be developed in collaboration with the incarcerated person. Corrections professionals know that the individual's participation in the transition planning process increases adherence to the plan and that even people with high risk and needs can often recognize their problems and have preferences about which interventions are best suited for them. Simply stated, a person who views his or her transition plan as his or her own will be more likely to adhere to agreed-upon actions and will be far more likely to avoid behaviors associated with recidivism. Step 1: Identify the transition plan population. Step 2: Begin to fill out the transition plan. Step 3: Prepare the transition plan in consultation with the incarcerated person. Step 6: Ensure that the transition plan follows the person back to the community. Burke, Peggy , Paul Herman, Richard Stroker, and Rachelle Giguere. 2010. TPC Case Management Handbook: An Integrated Case Management Approach, (Washington, DC. 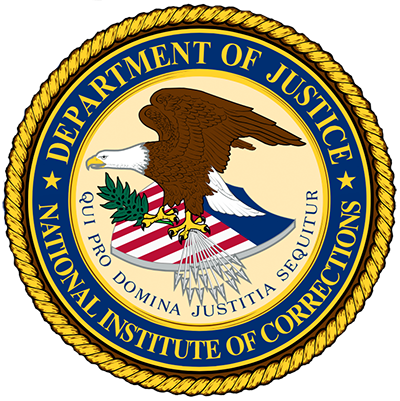 National Institute of Corrections). Healey, Kerry Murphy. 1999. Case Management in the Criminal Justice System, Washington, DC: National Institute of Justice: Research in Action. Fresno County, CA. Fresno County TJC Participation Agreement. Orange County, CA. 2009. Orange County Transitional Reentry Center. Transitional reentry center compliance agreement and instructions – contract style form signed by participant and probation officer. Taxman, Faye. 2006. Assessment with a Flair (Purpose): Offender Accountability in Supervision Plans, Federal Probation. Warwick, Kevin, Hannah Dodd and S. Rebecca Neusteter. 2012. Case Management Strategies for Successful Jail Reentry, Washington, DC: Urban Institute. Denver Sheriff Department. Inmate's consent form for release of reentry information. Douglas County, KS Sheriff's Office. Reentry Release of Information. 2009. Inmate's consent form for release of reentry information. La Crosse County, WI. Reciprocal Authorization for Disclosure of Confidential Information. Inmate's consent form for release of reentry information. Let's revisit what we have learned so far in the Transition Plan Development module. Please select the word that correctly completes the following sentence. In this section, you learned that the transition plan is a six-stage process. Key to the process is involving the incarcerated person in the transition planning.